One way Harborview Farms seeks to improve the ecology of the Eastern Shore is through its intensive cover crop program. Harborview Farms has been planting cover crops for over 20 years and now plants them on 100% of our fields. We often talk about the many benefits provided by cover crops from erosion protection to improved soil health and reduced nitrogen leeching. But what does it actually take to be on the cutting edge of responsible agriculture? How did we start working with cover crops, how far have we come, and where will we go next? All of these are important questions to ask as we work to create a new, more robust form of agriculture. Currently we have two research projects being conducted on the farm studying cover crops. The first, conducted by Dr. Ray Weil of the University of Maryland compares the effectiveness of different cover crop seeding methods. This research will help determine, at least for our region, how managing our seeding methods differently can help us to use our cover crops as effectively as possible. Not only helping us to save money and time but also so that we can get the most environmental benefit out of them as well. The second is being conducted by Dr. Steven Mirsky, a research Ecologist from the Sustainable Agricultural Systems Laboratory at the USDA in Beltsville, MD. 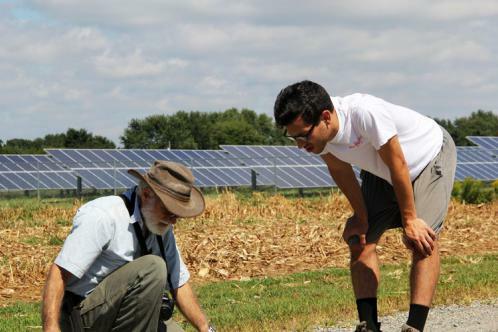 His study is more widespread, including farms in both the mid-atlantic and the southeast. 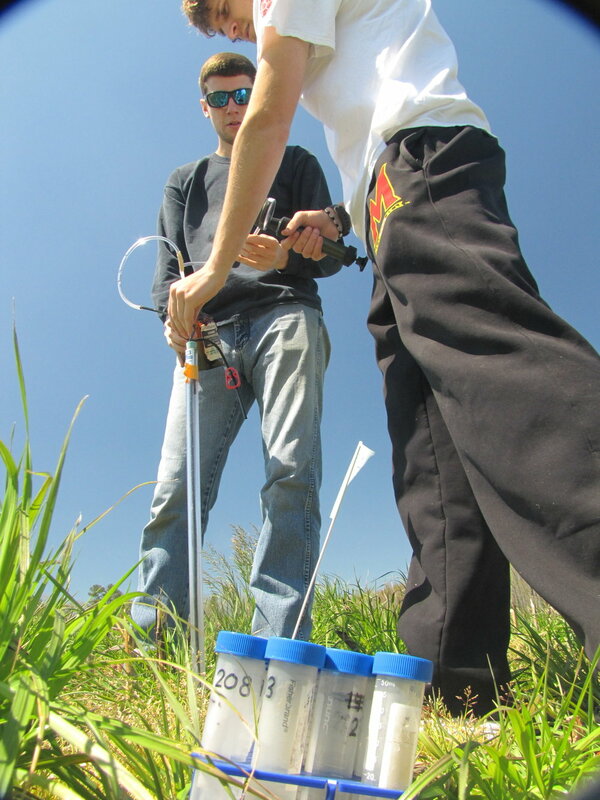 His study compares water, temperature, and nutrient differences between cover cropped and non-cover cropped fields in an effort to develop cover crop management tools that can help farmers select the right cover crops, in the right amounts, at the right time and plan appropriately for the differences in soil water, temperature, available nutrients, and overall soil health to manage their cover crops more effectively. Harborview Farms is also a part of the High-Yield Conservation Project (HYCP), which is funded by the Howard G. Buffett Foundation. The project was created to help farmers maximize high-yield results by matching conservation-minded farmers with a team of expert advisers. HYCP will track Harborview's cover crops as well as help implement multiple cover crop trials throughout the year. As part of the project, we collaborated with Dr. Ray Weil of the University of Maryland to perform a study on the benefits of deep-rooted nitrogen cover crops. Harborview Farms also works with the Chesapeake Bay Foundation by growing on their land and participating in summer courses for high school students. Additionally, Harborview works with the Soil Health Partnership/NCGA, the Hughes Center for Agro-Ecology at the University of Maryland, the USDA-ARS, NRCS, DNR, and MDA to study the land and improve our natural and agroecosystems. Immediately following the fall harvest, we are back out in the field busily planting cover crops, working hard to make sure they have as much time as possible to grow before they go dormant in the winter in order to maximize their benefits to us, our environment, and ultimately our crop. We also let our cover crops continue to grow late into the spring. While most farmers who plant cover crops let them grow until about four weeks before their first spring plantings of corn and soybeans, we let ours grow until less than two weeks before planting and sometimes we allow them to keep growing until it is time to plant. We do this to give the cover crop more time to "pull" nutrients from more than a meter deep in the soil so that our corn and soybean plants, whose roots only extend about 60 cm down, can access those nutrients in their next growing season. It also gives our leguminous cover crops more time to fix nitrogen from the air, making it more readily available for our other crops. Because we allow our cover crops to grow for so long the residue not only adds a lot of organic matter to the soil as it slowly breaks down, but it also works to keep weeds from germinating during the season and helps the soil retain moisture and stay slightly cooler during the summer. Cover crops present some unique management challenges that we have to overcome in order to use them effectively. Even before they are planted they can be difficult for us to manage, particularly our mixed cover crops which often contain cereals like rye and barley in addition to radishes and crimson clover. Because the cereal seeds are typically around ten times larger than the radish and clover seeds, it can be difficult to make sure that the seeds stay appropriately mixed so that when they are planted the seeds are still evenly mixed, giving the whole field similar benefits. Cover crops also require different seeding equipment from corn and soybeans. 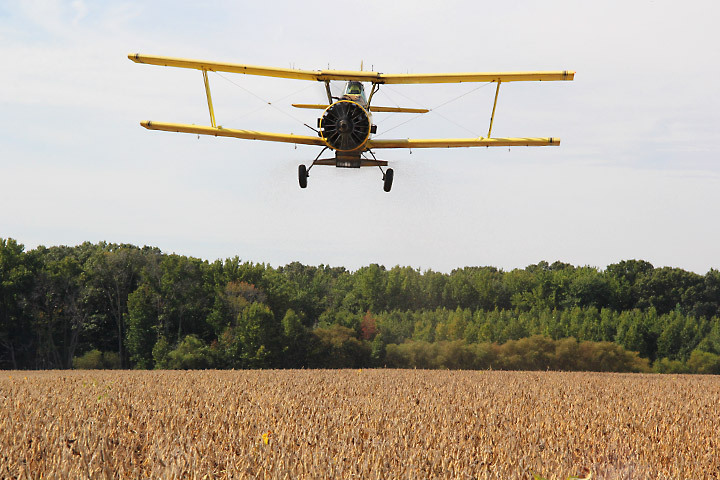 Instead of row planters, we use a seed drill or seed by air. Then, come spring we will spend over hours and hours in the field scouting every field by foot since the cover crops impede our ability to scout large areas of each field at a time and require that we spend much more time than we normally would out in the field making sure that our populations are where they should be, and that weed and pest pressures can be taken care of. Some members of our team have walked over 13 miles in a single day scouting crops. Additionally, cover crops can invite certain pests back into the field. Cereal rye and corn are both prime targets for army worms. Because we have been planting cereal rye in our fields for so long, army worms have appeared in the fields for the first time in years. Just as we have changed when we plant and kill our cover crops, we have also changed which cover crops we plant. We now work to promote biodiversity and pollinator health by planting cover crop mixes that include rye, barley, crimson, clover, and rapeseed. Crimson clover and rapeseed play very important roles in helping our system promote pollinator health. Early in the spring just as pollinators are beginning to become active after being dormant all winter, rapeseed is beginning to bloom, giving wild bees a source of food as soon as they become active, a time that is usually difficult for them since their metabolisms increase with the temperature and they require more food but wild nectar is difficult for them to find. The main reason we plant rapeseed is to provide them with a food source. Crimson clover blooms later and provides pollinators with food for as long as the cover crop is alive. We do other things to promote pollinator health such as training employees to protect and preserve milkweed around the edges of fields, erecting a bee house and switching from conventional graphite and talc based seed lubricants to Fluency Agent. Fluency Agent reduces the amount of dust released by treated seeds during planting which reduces the odds that a pollinator would come into contact with dust from treated seeds which sometimes contain neo-nicotinoids, a class of insecticides that can be harmful to bees.